In the world of makeup, eye shadow application is one of the most difficult parts of makeup. A striking eyeshadow makeup can instantly uplift your mood, ensemble, attitude but getting the perfect blend is not quite easy. Beauty and lifestyle blogger Dimmah Umeh in her new Do’s and Don’ts eyeshadow tutorial gives us more insight on what we are doing wrong and how to improve on eyeshadow application. In this new tutorial the beauty pro shares a detailed explanation on how to achieve a perfect eyeshadow application and the mistakes that have been stopping you from getting the perfect eyeshadow blend. Though, there are numerous videos on how to apply eyeshadow, we have found this technique to work for every eye shape and it is also perfect for applying coloured eyeshadow. 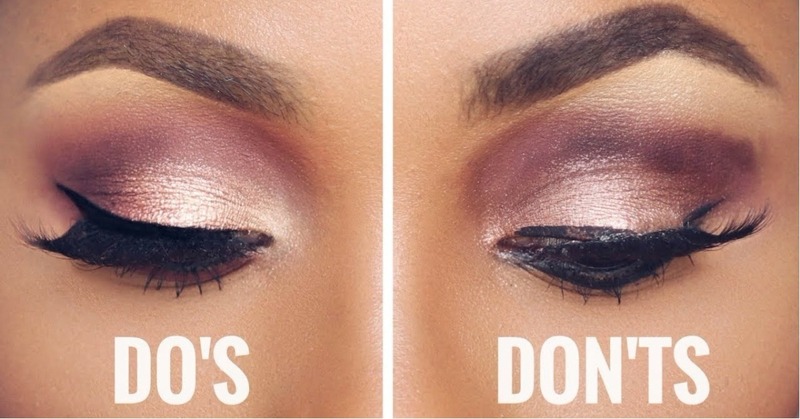 If you have been struggling with applying your eyeshadow perfectly, you are at the right place!